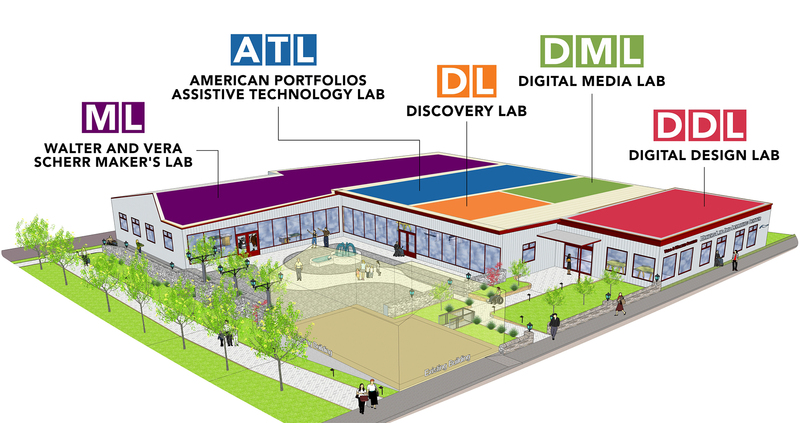 The Technology Hub and Incubator (THINC) at The Center for Discovery is at the core of our assistive technology and innovation efforts. The facility allows The Center’s clinicians, educators, and other staff to collaborate with engineers, inventors, designers, entrepreneurs, artists, and business leaders alike, creating an incubator for new ideas and the development of products based on the principals of universal design. This facility is located in the hamlet of Hurleyville, NY and is connected to The Center’s broader research institute. For more information about assistive technology and innovation at THINC, please contact Jason Kean, Director of Innovation at The Center for Discovery, at jkean@tcfd.org. For more information on naming opportunities, please contact Bill Evans, VP for Development at The Center for Discovery, at bevans@tcfd.org.